Payment gateway » Blog » Payments » How payments with redirection affect your business? Getting people to visit your website is not easy, especially today, when there is a lot of competition. Don’t let customers go to another site to pay. 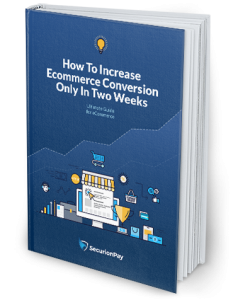 When you use payment redirection on your website, you’re giving customers ‘the opportunity’ to go away and never come back. Is it what you really want? I don’t think so. Redirection is the main flaw of using an external service to pay. And it’s not just about sending customers away. Read on to learn about other things that could decrease your sales. Wondering how redirecting customers can affect your business? Think of it this way: A customer is on your e-commerce store’s website, adds an item to the shopping cart, clicks the payment button and then… is redirected to an external website with a different design, logo and URL. Don’t you find it confusing? Customers end up feeling as if they are giving their money to another business rather than the one they want to buy from. They may get confused and discouraged. The confusion could also turn into frustration. You have many integration options to consider, but if you choose wrong, it could hurt your conversion. Read on to find out why. It lowers trust and could result in an abandoned cart. Moreover, you have no control over emails sent to your customers. They receive messages from the payment provider so it’s harder to create personalized communication. You also need to consider how many steps your customers have to go through when making a payment. Choosing a payment solution you can embed on your website will simplify the entire process. That’s because the payment is made on one page. A customer just has to type in the essential information and click the payment button. That’s enough to complete a payment, without the need to visit any other website, go through the process and then return to the e-commerce store. It could be frustrating, don’t you think? Checkout is the last step of the purchasing process. Use it to display your business name and corporate identity elements (not the payment provider ones) – this could be the last thing on customers’ minds. Keep in mind that a badly designed payment process can harm the number of sales even if you provide the best product or service. That’s because customers see a completely different page from yours when they want to pay. Some of them may abandon their carts because of confusion (mentioned above) or the fear that they are on the wrong payment page. Third party payment providers sometimes enable you to make tiny changes in the design. Usually, it’s just changing the color of the header or the payment button. So, even if you have an amazing and well-designed website, that great impression could disappear when customers start the purchasing. Wouldn’t it be better if you can customize the entire payment form with your own needs and aesthetic feeling in mind? Payment gateways with custom forms which you can embed on your website, give you the possibility of fitting it into your website’s look and feel. You’re the code’s owner so you can add any changes you want to make it work the way you like. 3. Who owns the code? The 3rd party solution is not fully integrated into your website. This means you’re not able to make it work for you as you wish. All operations are made without your control over the backend process. When you’re seeking a payment solution for your website, you have to consider things such as the integration process and access to the code. Choosing a 3rd party solution or a payment gateway without the possibility to fully customize the payment form, gives you no or a little control over the code. This means you also have no (or limited) control over the entire payment process. You’re never 100% sure that a customer completed a payment. Redirects also take away the chance to display extra offers so customer lifetime value could decrease. In effect, it hurts your conversion and affects sales. The problem is serious, especially when you redirect customers to an external website to pay. You don’t know what happens when they’re redirected and you can’t react immediately when problems occur. You also have no option to set customized error indicators or messages. You can’t add events to the code and you receive notifications with a delay. Note that when you’re a code owner, you see the whole process and notifications in real-time. When you choose a payment solution with an embedded payment form that gives you control over the code, it simplifies the way you contact your customers. You can see payments in real-time so you know when something wrong happens (e.g. when a customer has a problem completing a payment). You can then act quickly, e.g. via live chat or by contacting the customer directly via email. Redirecting customers to an external website to pay doesn’t allow that. Third party providers send their own emails to your customers and it could be different from your brand communication. In all, it can affect your brand loyalty. You must know that a responsive customer support can make wonders. Especially in online payments where problems can occur at any time. It’s good to know whether your customers complete the payment process or have some problems while trying to pay. It’s also good for your business when you can react immediately and fix problems as fast as possible. Moreover, it’s not normal for there to be intervals in payment processing on your website. You, as well as your customers, need to be sure that payments on your website are secure, seamless and hassle free. There you have it. They are all the risks that come with having payments with redirection. The differences between 3rd party providers and payment gateways that let you process payments directly on your website are huge. You can’t afford to lose customers so think twice before you choose a payment solution for your website. Want to add something? Feel free to leave a comment. Multi-currency acceptance: Why it can skyrocket your business?